READY TO MOVE IN!!!! 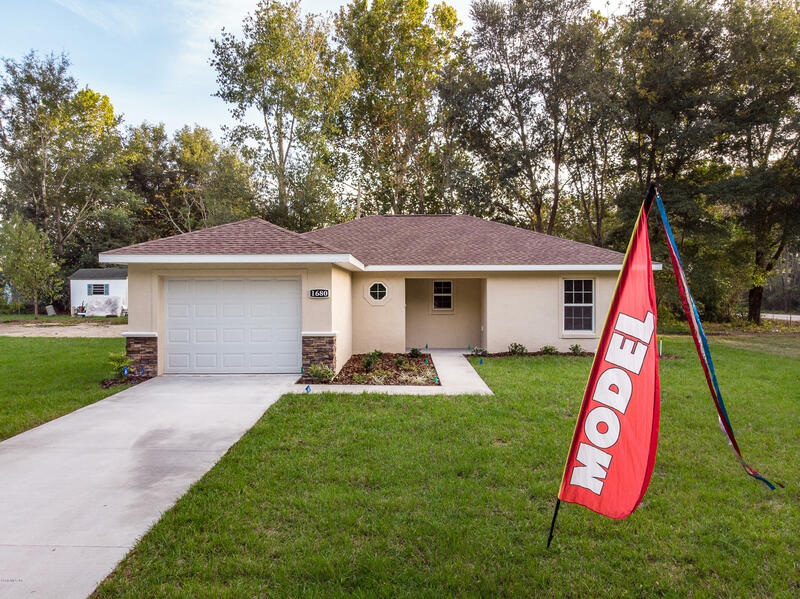 Great Opportunity to own a NEW Construction property with the assistance in closing costs and downpayment from Marion County SHIP New Construction Program. Spacious .32 acre property located in a CORNER lot. Attention to details is what you'll notice when you walk in this elegant Block & Stucco Redhead model. This charming home features 3 bedroom, 2 bath & 1 car garage.You will enjoy the open concept living and dining area with view to the patio perfect to entertain. Spacious fully equipped kitchen with stainless steel appliances including microwave above range & undermount kitchen sink. Flawless wood cabinets w/easy close system, granite counter top throughout kitchen and baths. Tile throughout the house & carpeting in all bedrooms. Master suite w/walk in closet.